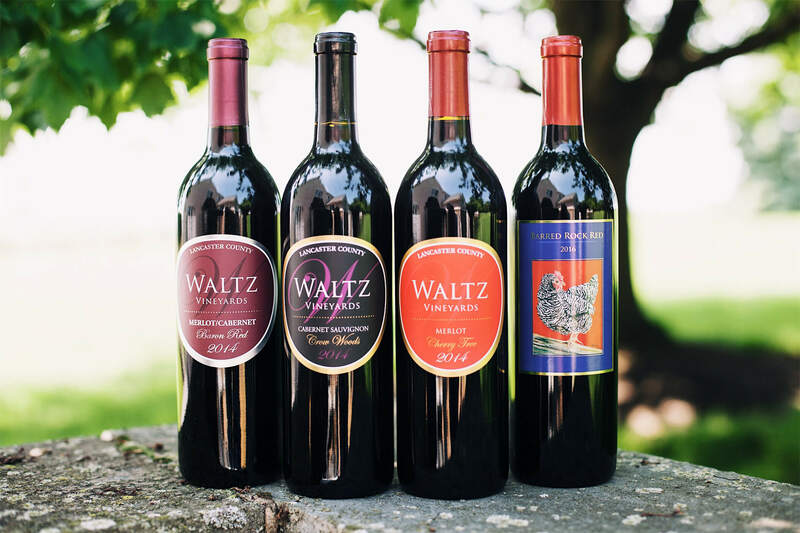 Waltz Vineyards is committed to using only our estate grown fruit. Our vineyard team works diligently throughout the year to assure we produce top quality vinifera wine grapes. Shoot tucking, thinning, leaf pulling and weed removal are all jobs completed by the hands of our vineyard crew. 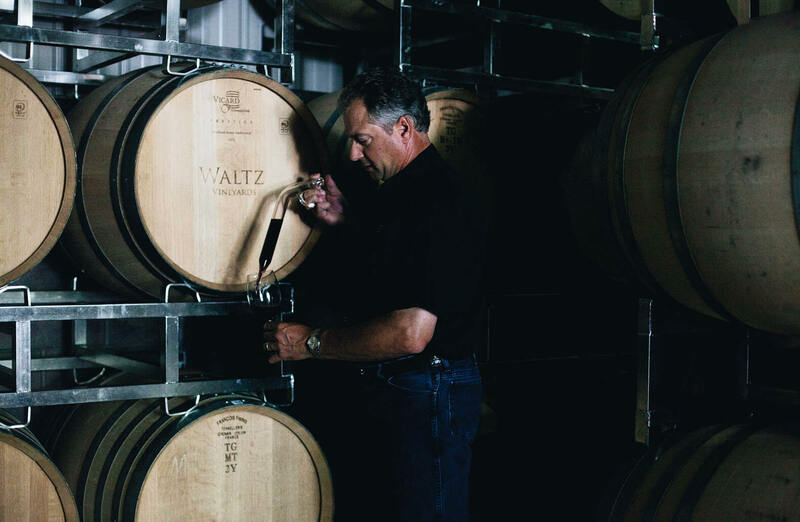 By sourcing fruit only from our meticulously maintained vineyards, we maintain our standards of excellence in the winemaking process from beginning to end. Great wines are grown in the vineyard! Currently, we are producing Cabernet Sauvignon, Merlot and Cabernet Franc. The following wines are straight varietals or blends of these varietals. 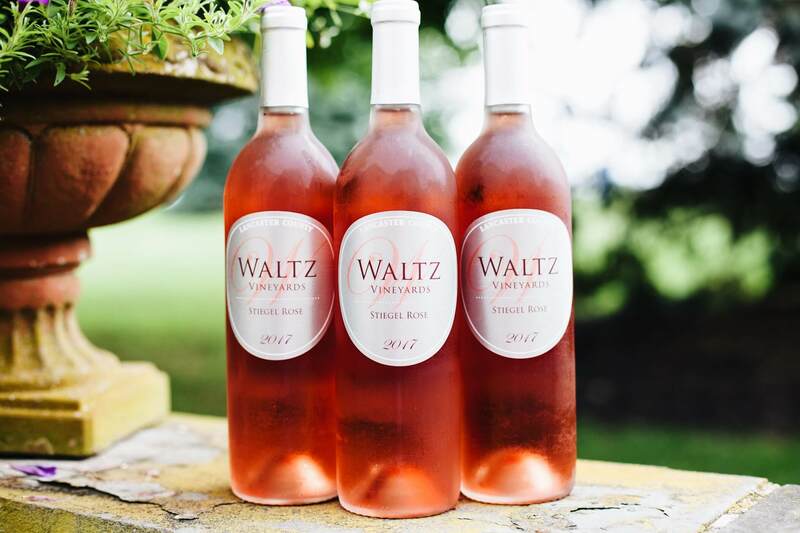 Created using the French method, saignée, our rosé is a blend of Cabernet Sauvignon, Merlot and Cabernet Franc. It is delightfully versatile and deserves its own special category! We have three (unique) locations in Lancaster County. At each location the wine tasting is conducted in a manner that is appropriate for that particular venue. Cheers! 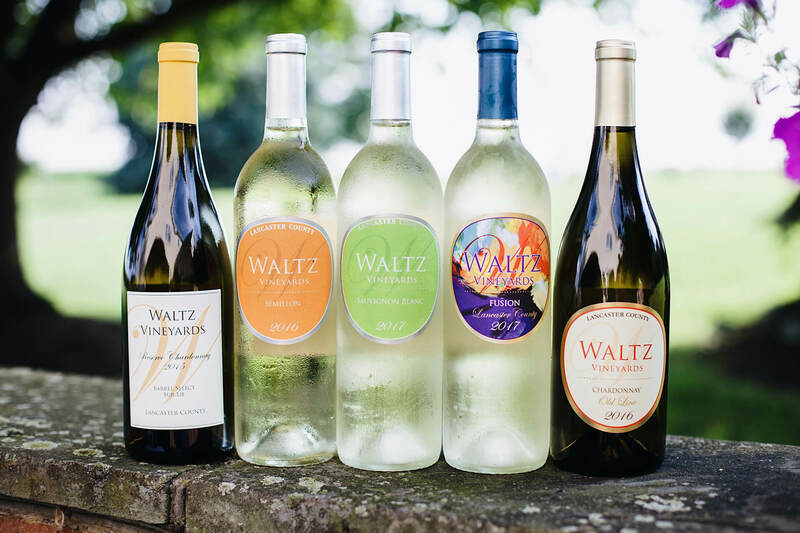 All of our wine is available for purchase online. We ship to 20 states and counting!